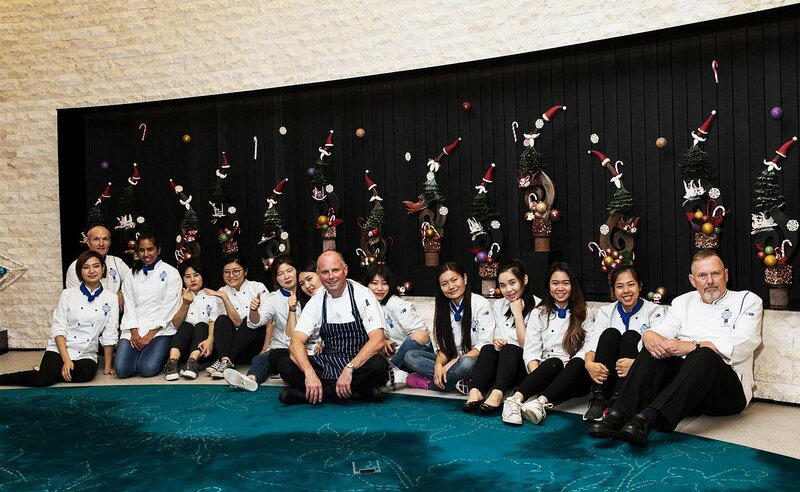 Students from Le Cordon Bleu Sydney’s Advanced Diploma of Hospitality Management (Pâtisserie) recently showcased their talents in a series of spectacular Xmas showpieces for the foyer of Parkroyal Hotel, Darling Harbour. 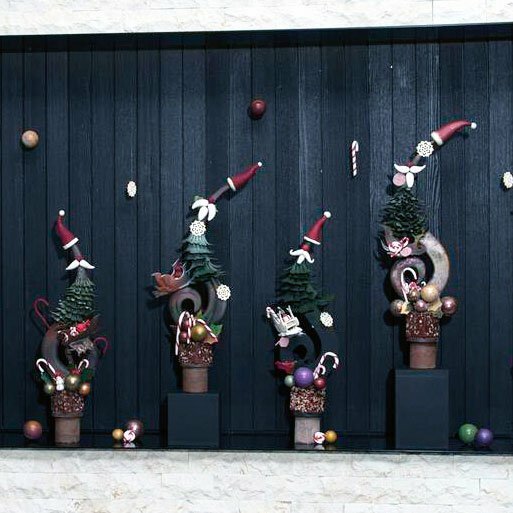 The impressive seven metre display took 600 hours to build, involving 4 chef lecturers, and 12 students. 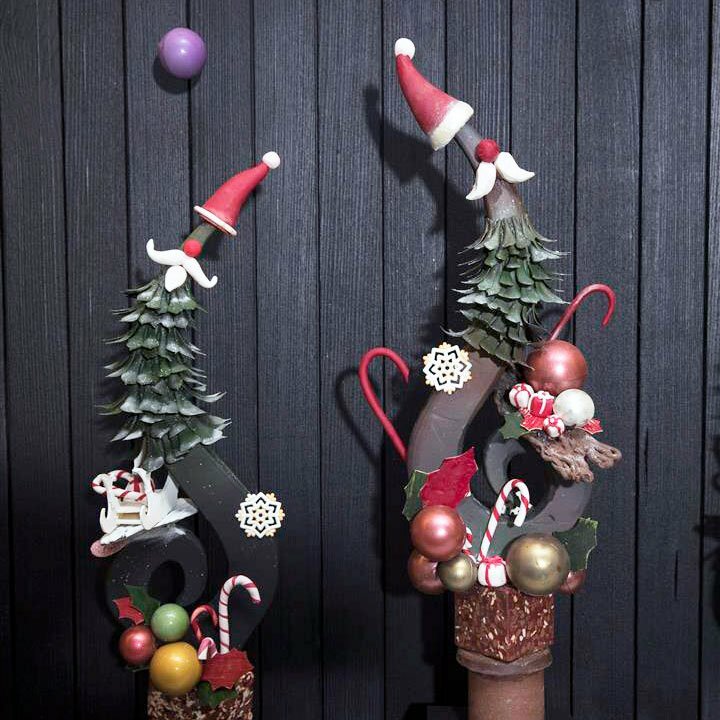 Built entirely from Callebaut chocolate, who sponsored the event, the fragile showpieces required a massive 150kg of chocolate. 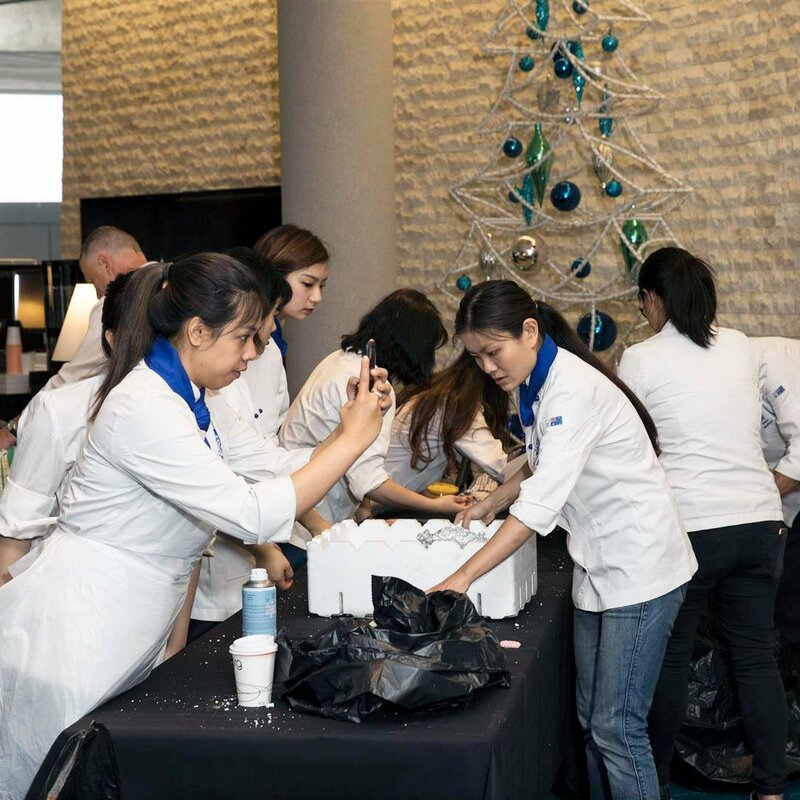 The project is a combined initiative between Parkroyal, Darling Harbour and Le Cordon Bleu to enhance and contextualise learning outcomes to suit industry needs. 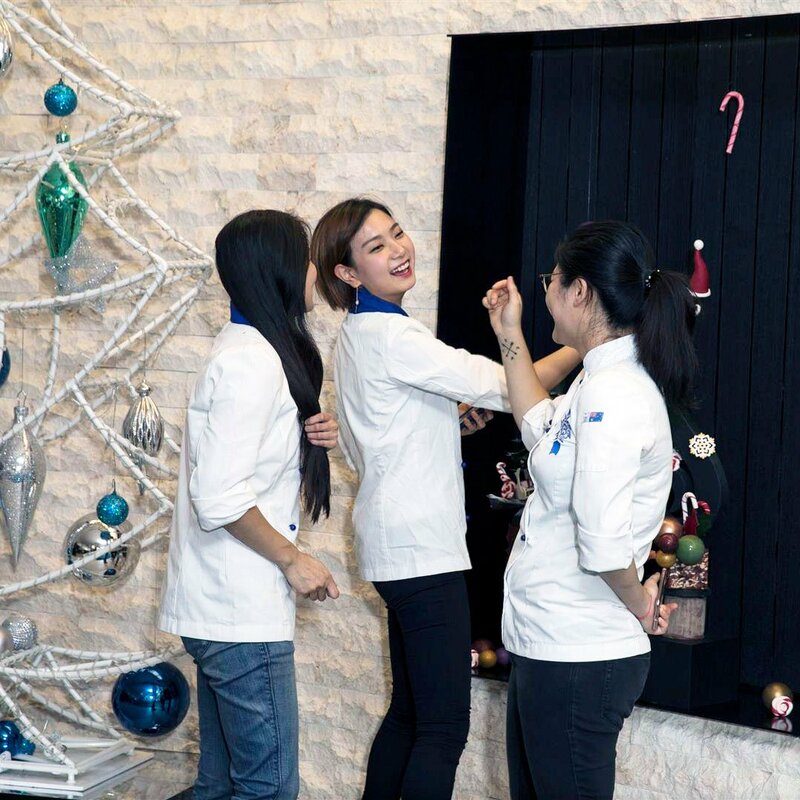 It benefits students by providing an opportunity to understand the planning, logistics, preparation and delivery involved in a real-life commissioned brief, while developing their mastery of chocolate work and showpieces.